How Can You Get Free TV with a Digital TV Antenna? After talking with my satellite TV company to try to find a lower cost package, I realized that I could save over $100 a month if I turned off my satellite TV- so I did. So how is it that I can watch free high definition TV without paying for cable or satellite TV? The answer is a digital TV antenna- an amplified indoor HDTV antenna that you can buy for about $50. TV stations still broadcast free TV over the air, and they broadcast in high definition. Of course, broadcast TV signals are analog radio frequency signals so you need an analog antenna to receive them. 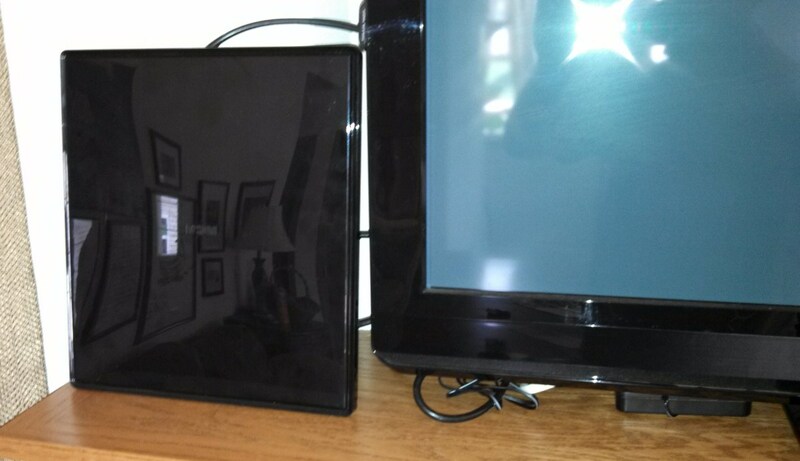 A small indoor HDTV antenna with an amplifier can receive broadcasts from TV stations that are 30 miles away or more. The TV stations that you can receive over the air depend on where you are located. At my house, I can get ABC, NBC, CBS, FOX, and several PBS stations. Not bad for free! I can watch most of the good football games and right now I am watching the World Series on Fox for free. 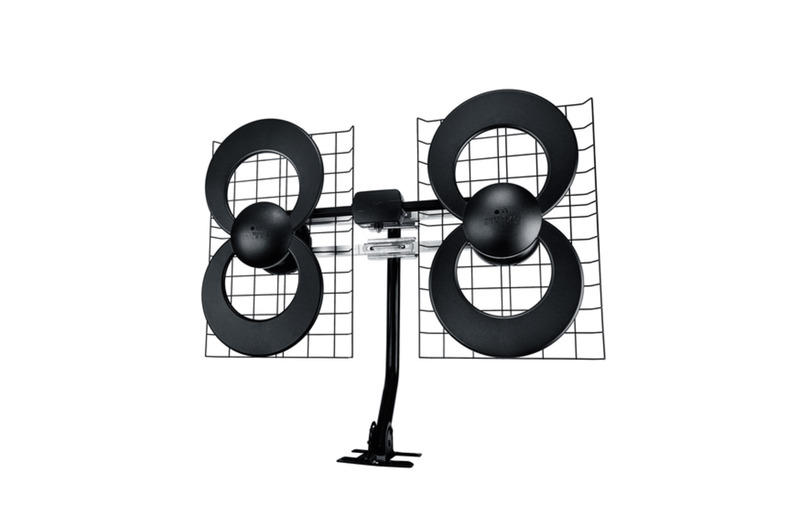 Unlike cable or satellite TV where you might get 50 channels or more, you will probably get less than 15 channels with a digital TV antenna. But getting free TV is worth the sacrifice to me. What is a Digital TV Antenna? A digital TV antenna is a TV antenna designed to receive broadcast HDTV signals over the air. 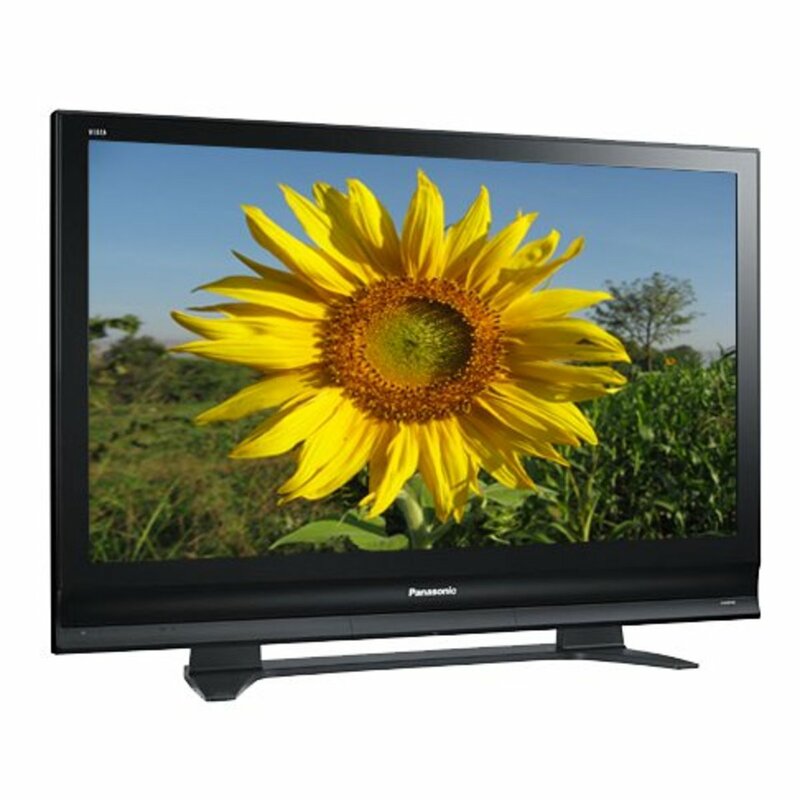 High definition TV is transmitted using digital signals modulated on a radio frequency carrier- a digital TV antenna receives the broadcast signals and allows your HDTV to demodulate the digital information to display high definition television. Small indoor digital TV antennas with amplification are available that are convenient to place next to your TV and provide excellent reception of nearby TV stations. 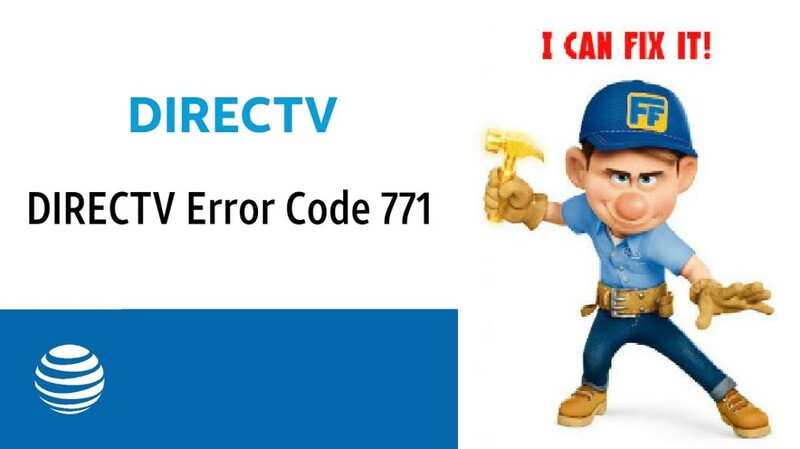 Is it Hard to Install a Digital TV Antenna? It takes about 10 minutes to install a digital TV antenna and have your TV scan for available channels. You will need to connect a coaxial cable from the antenna to the amplifier. Another coaxial cable connects the amplifier to your TV. No tools are required for installation of a digital TV antenna. The amplifier needs to be plugged in to an electrical outlet, then you are ready to scan for channels. The menu on most TV sets has an option to scan for channels. After than, you can use your TV remote control to move through your high definition TV channels. How Do You Mount an Indoor HDTV Antenna? Indoor HDTV antennas can be hung on a wall like a picture, or many have a stand that allows the antenna to stand up on a shelf or next to your TV set. 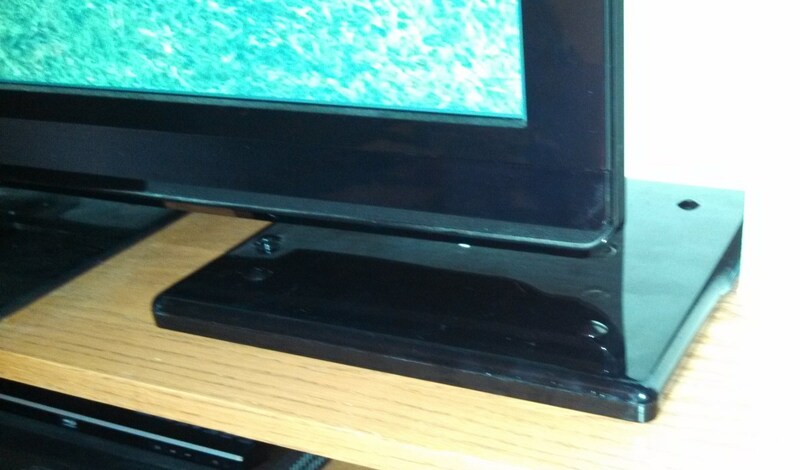 I have had the best reception from my antenna by laying it flat next to the TV as shown in the picture. I like this arrangement since it is easy to move the antenna if I need to position it differently to pick up a channel. Sometimes the signals seem to be weaker at night or during stormy weather. I have always been able to find a position that works. The cable that came with my antenna is long enough to allow it to be positioned in several locations around the room. Do I need an Amplified TV Antenna? If you get an antenna with an amplifier, you will be able to receive channels from stations that are further away from you. 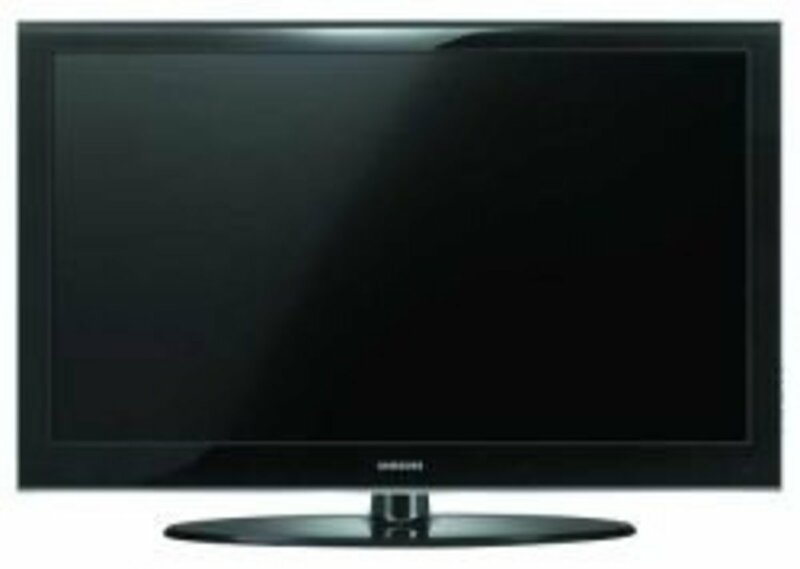 High Definition TV drops off differently than the old analog TV signals which would fade slowly as the signal got weaker. My experience has been that the HDTV either looks great, looks horrible, or doesn't come in at all. As the signal gets weak, the bit error rate goes up and artifacts are visible on the TV- the picture starts to get pixelated and jerky. 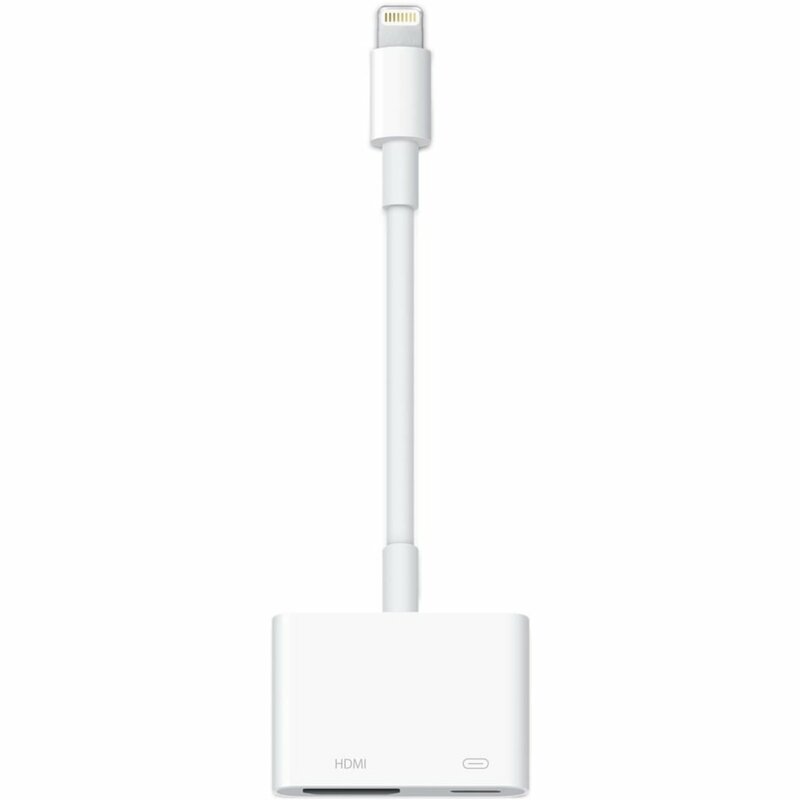 Getting an antenna with an amplifier will let you pull in weaker signals before issues with the picture quality appear. How Does Free TV Compare with Satellite or Cable TV? I have found that I need to position the digital TV antenna differently at times to get good reception. 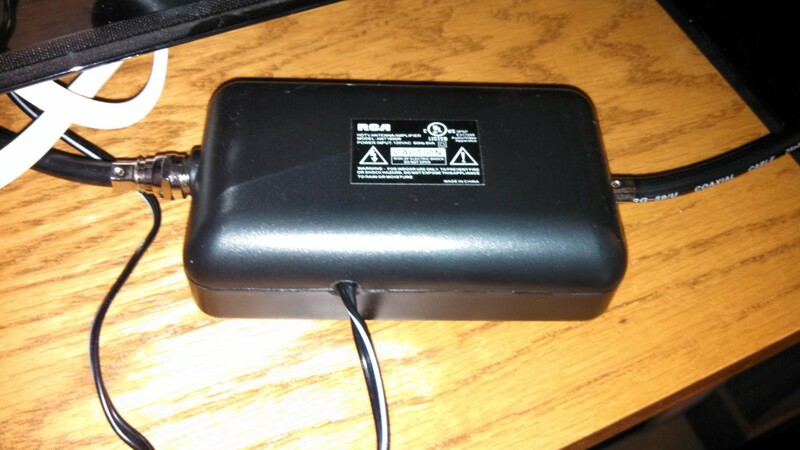 For example, sometimes I prop it up or move it a flat surface near the TV to get good reception. Most of the time I can leave it in place next to the TV and get all of the stations. Again, moving the antenna is not as convenient as satellite or cable TV, but at $0 per month the price is right! One pleasant surprise is that I get a few channels from broadcast TV that I did not get with satellite TV. For example some of the stations in my area broadcast extra channels that you can pick up over the air. These channels have programming such as high school football games and re-runs of older TV shows. I also get several public broadcast service stations that have good science and educational programming. How Much Can You Save On TV with Your Own TV Antenna? My satellite TV bill was $111 per month, which adds up to $1332 per year. I get free TV now, so I am saving over $1000 per year. I find that I enjoy TV more now that it is free. When I was paying over $100 per month, my expectations were pretty high and I was disappointed when there was nothing good on. Now it is exciting to find something good to watch on TV for free. I kept my Netflix subscription which costs $8 per month. Streaming TV service such as Netflix or Hulu Plus are good ways to augment your TV programming if you cut satellite or cable TV. Even though I don't like to pay for TV, I like having access to live news, sports, and some current TV shows. Being able to watch weather on TV is nice during storm warnings and severe weather conditions. Spending $50 one time on a TV antenna to have unlimited HDTV seems like a great deal compared with spending over $1000 every year! What are the channels you get using this digital TV antenna? I live in the Detroit Metro area. 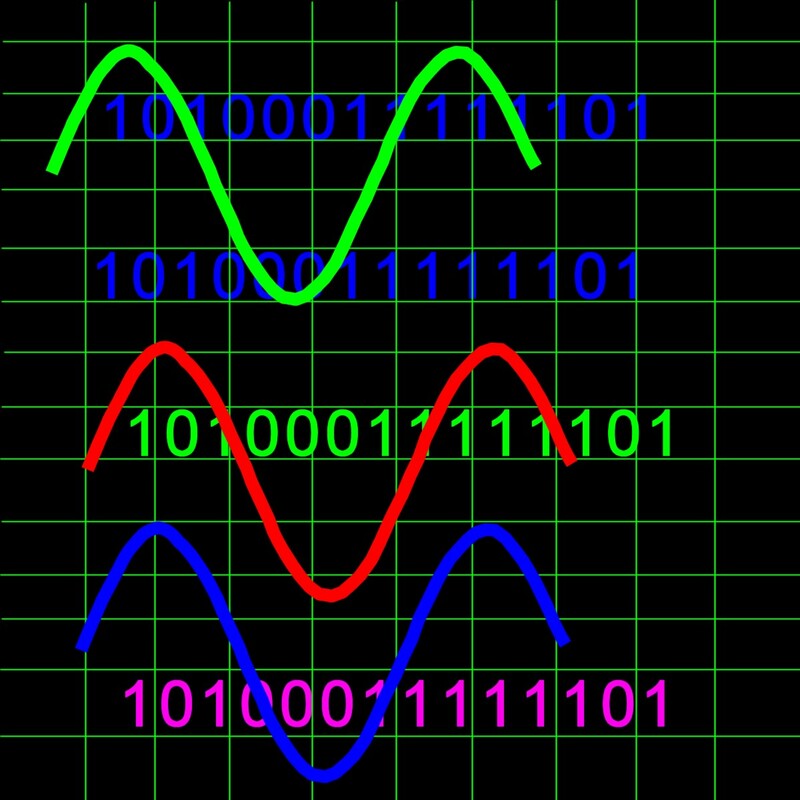 What's the Difference Between Analog and Digital? Efficient Admin, your savings from free TV will continue to add up every month. I am watching the NFL game in HD right now. Enjoy your free TV! I recently cut the cord and bought an HDTV indoor antenna and have been very pleased with the quality of the picture. I get local news stations and several movie channels that I did not get with cable. Plus I love saving $19.33 per month, which was for local basic channels anyhow. This is an excellent article and a great way to save a lot of money! We don't have the cable anymore since a while and with the internet it's possible to watch more and more. Anyway, I think that the days of the cable companies are numbered! I never heard of digital TV antenna; I will definitely discuss that with my husband! Thanks again for this useful review.... definitely voted up, useful, interesting and simply awesome! 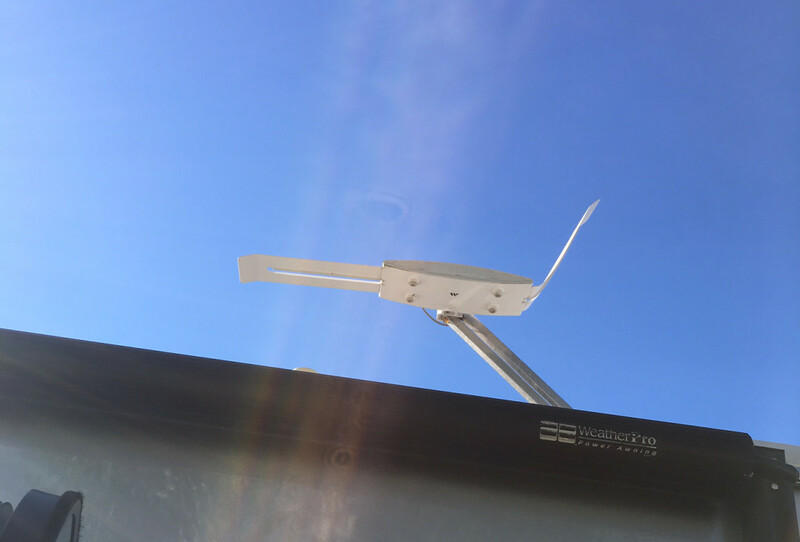 NMLady, you are getting more free channels with your antennas than some people get with cable TV! I think programming on demand will only continue to grow as streaming TV options improve. One of the reasons I ended up dropping satellite TV is that I couldn't find a package of channels that worked for me. Thanks for your comment! We live in a metropolitan area and receive over 40 FREE TV channels on the antennae we installed in the attic space.....attached it to the cable that served the TVs when we were being rooked by the cable cos! Then we added a ROKU on the main TV...thousands of channel opportunities. And we have NEVER looked back. The ONLY way the cable/satellite people could ever lure us back is to offer packages of channels that WE design! (They are made by law to do this in other countries, you know!) However, more and more stations are streaming.....so if the cable/satellite people wait much longer we will have NO reason to ever go back! Take the advice in this Hub!!! Millionaire Tips, I tend to watch "live" events on TV such as news, weather reports, and football games and other sports. I use Netflix to watch most TV shows so I can start and stop on my schedule. I get my TV for free too, with a converter box on my old TV. I can't imagine paying a thousand dollars when there are so many shows available for free online that you can see on your own schedule. Victoria- $23 per month is a lot better than the $111 per month I was paying for satellite TV! Once you watch HD, you'll never want to go back to standard definition TV. Our son has one of these and he really likes it. We are thinking about getting it and also keeping Netflix. Great information voted up and shared. I've thought about doing this, but I would have to buy either an HDTV (my old TV just won't quit!) or a converter box for my TV. I just have basic cable, so at least it's just $23/month. I'll keep this in mind for the future. Thanks for the great review!